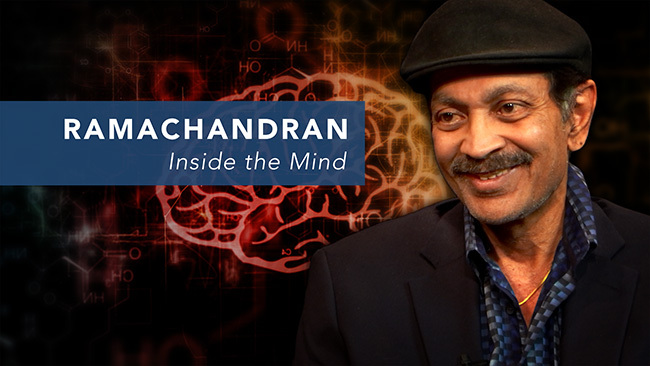 It was this “Sherlock Holmes” aspect of science and medicine – of exploring the unusual and figuring out how things work – that ultimately led to Ramachandran’s successful career in neurology. When he first began to study neurology, the brain was largely unchartered territory. Why is it that some people see colors when they smell certain aromas? Why is it that some people can still feel their fingertips – even when their hands are missing? For Ramachandran, a lifetime of mysteries was waiting to be solved. As a child growing up in India and Thailand, Ramachandran loved the beautiful simplicity of scientific experiments. Put an iron nail in a blue solution of copper sulfate, and iron becomes copper – like magic! As a neurologist, Ramachandran continued to embrace a low-tech and elegant approach to scientific study whenever possible. When one of his patients still felt the painfully-clenched fist of his severed hand, Ramachandran used a mirror to fool the patient into seeing his missing hand and the patient was then able to unclench it and feel relief. Ramachandran explains the “grandmother test” to UC Berkeley’s Harry Kreisler: “If an elaborate theory can not predict what your grandmother knows using common sense, then it isn’t worth much.” Thus, the litmis test of a well-constructed experiment is two-fold: first, it should be simple enough to easily explain it to your grandmother so that she understands it; and second, she should say “Wow!” If it’s too complicated to explain and it doesn’t interest her, then try again. Learn more about the incredible work of V.S. 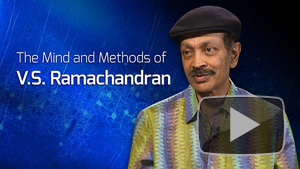 Ramachandran in our video archive of his work and lectures. New programs feature discussions on neurolology and our questions of self, along with an interview with UC Berkeley’s Harry Kreisler. From mystical sensory experiences, to phantom limbs, to art – go inside the mind with Ramachandran. Browse all programs in the V.S. Ramachandran video archive. Do you have trouble remembering people’s names? Have you ever forgotten where you parked your car? 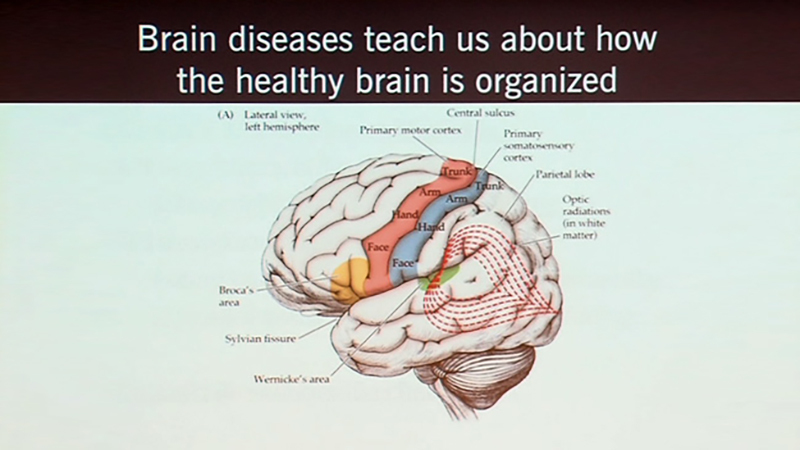 Dr. Kate Possin, assistant professor of neuropsychology at UCSF, says that those are actually specific memory problems that are linked with different circuits or memory systems in the brain. In this video, watch her use different memory tests to reveal the difference between types of memory, like long term memory and working memory. If you answered yes to those first two questions, be sure to check out the brain games that can help you maximize the use of your memory. 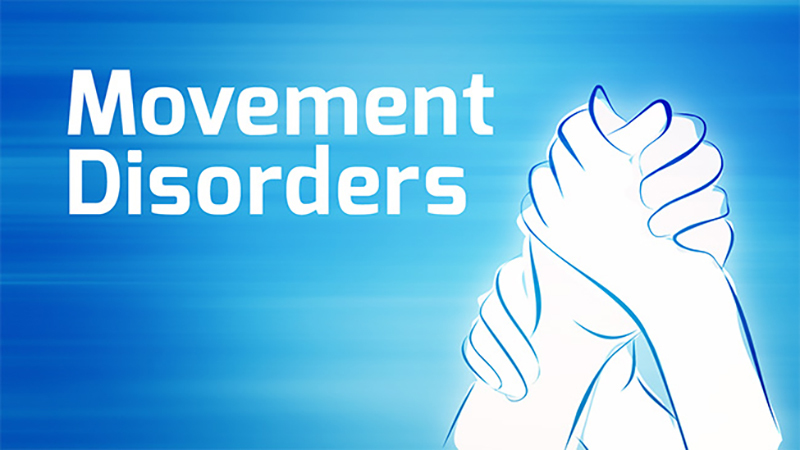 For more information from top neurology experts, see the other videos in the Multidimensional Mind series. Yesterday, President Barack Obama announced his plans to create a bold, $100 million public-private initiative to better understand the brain and the diseases that affect it. Appropriately called BRAIN (for Brain Research through Advancing Innovative Neurotechnologies), the group brings together experts across private industry, academia and government agencies in the areas of neuroscience, neurotechnology and neuroscience. You can bet a good portion of that research will take place within the University of California, where researchers are already deeply entrenched in unlocking the mysteries within the human brain. How do we know? Because many of these same researchers have shared their fascinating discoveries in autism, alzheimer’s, neurology, and mental health and psychiatry with UCTV viewers for years. And it seems our viewers are always hungry for more. UCTV’s Human Brain iTunes feed consistently shows up in iTunesU’s Top 10 Collections and “What’s Hot” sections. No doubt that President Obama’s endorsement will mean even more exciting discoveries — and UCTV programs — to come. In the meantime, subscribe to our Human Brain feed in iTunes and browse our archive of Neurology programs at our website. There’s plenty to keep your brain busy!